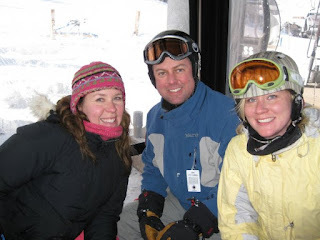 Since I've been so lazy about posting, I thought I'd tackle this one, found on Stacy's blog a really long time ago. Song: favorite song ever? How to choose? Current favorite song is "Single Ladies" by Beyonce. American city I have visited: That's tough, too. NYC, I guess. Foreign city I have visited: I wish I remembered more of the cities I visited, they all went by in a blur of 16 year old sleep deprivation. Forced to choose I'd say Moscow. That's the one I remember the most. Book: I don't have one favorite book. Children’s Book: What's the one that ends with the man holding his mother in the rocker? THAT one. Classic television show: is Friends classic? Ballet I have seen: I saw Swan Lake in Moscow, that was pretty cool. Alcoholic drink: non-beer? Iced tea with Peach vodka. Or actually, it's better if it's peach tea with regular vodka. Male vocalist: I'm enjoying Jack Johnson right now. Artist: I don't have a favorite. But I'm blogging again only 2 days after my last post! We haven't had much snow since Christmas, but as I type this I've been watching a snowstorm move in. Which is fine with me, because if it's going to be frigid it might as well be pretty, too. Since I don't drive much or far, and I don't spend much time outside, I say bring it on! I cannot believe it is 2009. But I'm happy to see a New Year. 2008 certainly was a difficult one for me, but I honestly believe I'm smarter, stronger, and happier for getting through it. Getting a day off work was the perfect medicine to improve my Christmas Crankiness, and I had a beautiful, relaxing, happy white Christmas. I will go next weekend to visit my family and they are very nicely doing a Christmas dinner re-do, complete with my favorite ham and mashed potatoes. I'm very excited about it. I still haven't been skiing yet... I'm skeered. :) I just know that I'm not going to remember what I'm doing and I'm going to have to start all over again. Also, it's cold. And I want to go with my Colorado BFF (let's call her Pebbles) but she and I have conflicting work schedules. New Year's Eve was big fun-- Pebbles and I went to a very crowded bar and there was dancing and champagne and laughing and kisses at midnight (no, I didn't kiss Pebbles, I may be discouraged about men but I'm not giving up yet). And if you even knew what NYE 2008 was like for me you'd understand how incredibly AWESOME that is. 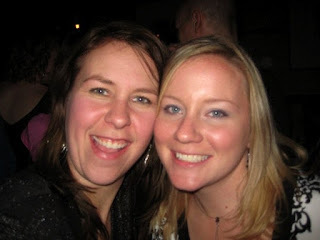 Here we are, left unsupervised with the camera, welcoming 2009.